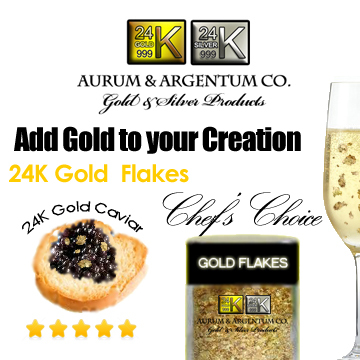 Aurum and Argentum Company Thailand 24k gold flakes can be used for many different products. 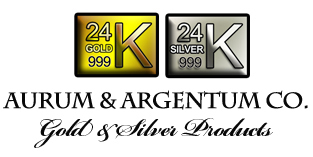 For example 24k gold nail polish, gourmet food garnish, salon nail and hair art. Decorating statues and other art creations. Also, gold flakes can be added to drinks like vodka, champagne or martini’s. Soap makers love adding gold flakes along with cosmetics. Other Details: 1g Gold Flakes, no brand. 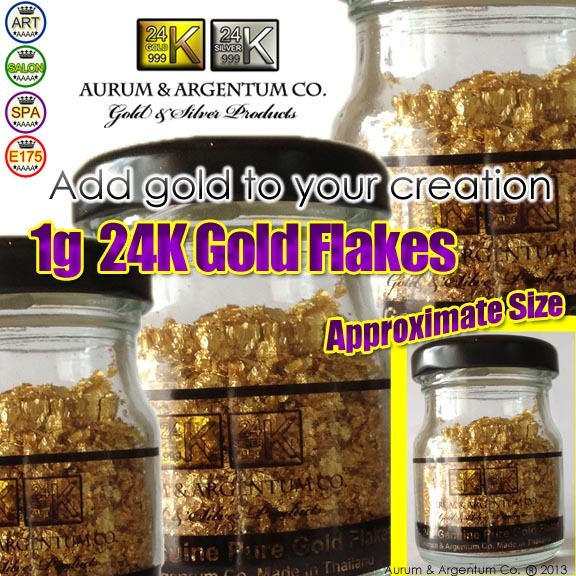 Packaging Details: 1g per unit gold flakes in Glass Jar. Delivery Term: EMS 3-5 business days. Shipping fee $30USD for 1500 leaves plus $7USD handling fee. Your next project may require gold leaf for lettering, stenciling or graphics. 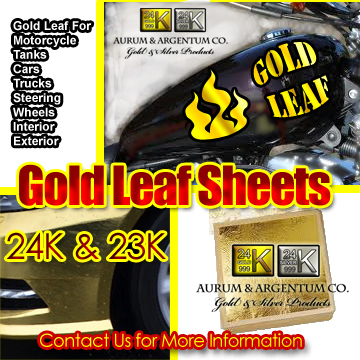 Aurum & Argentum Co has gold leaf sheets to make that possible. We have 24k and 23k gold leaf at 4cm 4cm or 8cm x 8cm. Whatever you need we can supply gold leaf. Gold leaf bring an amazing shine to your work. You will be sure to have great reviews when you are complete. Motorcycle enthusiast love adding gold leaf to their art work and gold lettering on the gas tank of their bikes. Car enthusiasts gold leaf their steering wheels or details dashboard. Most recently people have been gold foiling cars for an elegant look for advertising. Another yet conservative method of advertising is gold lettering on trucks. There are many resources to help you learn more about gold leaf gilding. It has been in use for centuries. 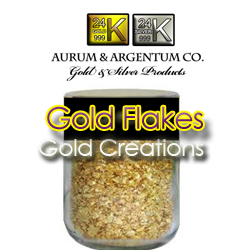 We at Aurum and Argentum Company try to find as many uses for gold as we sell gold leaf, gold powder and gold flakes. We would love to see your finished product, we will even post them on our site. Please note that the photo above of the motorcycle tank is an artist rendition and is made for advertising. There are many things you could gold leaf for fun or a full time business. We are always looking for distributors, let us know and we will send you a distributor guide. Make your work standout amongst other craftsman. You will surely get the kudos well received. Detailing with gold leaf takes patience but the outcome is amazing. Please be aware gold leaf will stick to your skin so be careful when handing gold leaf. There are gilding tools available. Even watch videos on youtube on how to gild if you are new to it. You will also get a certificate with gold content with your purchase. We have our gold tested with every batch. 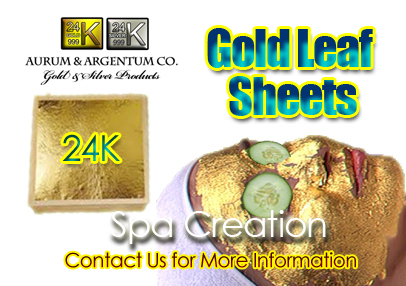 Contact us for more details on wholesale gold leaf supplies.